Semi-automated Liquid Handling A simple touch of the hand probe button or a tap of the foot switch actuates the precision syringe drives to fill or dispense a desired volume of fluid. Microlab 600 diluters and dispensers are precision fluid measuring instruments based on Hamilton’s world-renowned syringe technology. The semi-automated instruments use positive displacement to achieve highly accurate and precise fluid aspirations and dispenses. 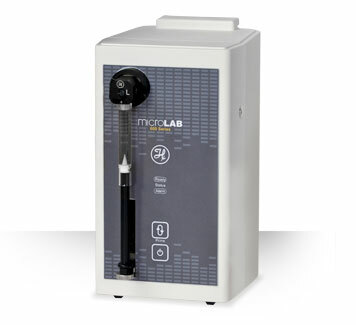 Наименование: (ML630) Microlab 630 Single Syringe PC Controlled / SINGLE PUMP PC CONTROLLED.